Already enrolled in Neighbors Connected and want to unlock access to 2019 incentives like the Block Party Trailer or Movie Equipment? Fill out the Contact Update form. 1. Gather required information about your neighborhood group: Name; area boundaries; goals/potential projects; contact information for a Neighborhood Leader, 4-5 committee members, and method of communication between your group. We also suggest you have an additional 10 interested households as members to create the most sustainable neighborhood group. 2. Fill out our Neighbors Connected Online Enrollment Form. Use our Neighborhood Search Tool to find the name of your neighborhood. Review the How To Create a Neighborhood Group guide. Visit our Grants page for our small grant applications. 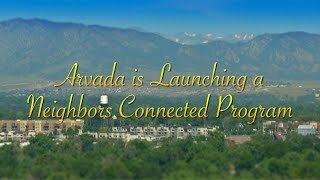 Provide amenities (trailer, movies, grants) to neighborhoods enrolled in the Neighbors Connected: Neighborhood Strong Program.